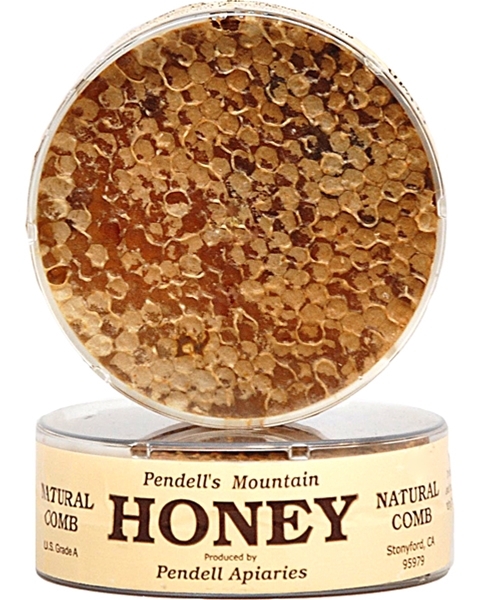 Pendell's Mountain Honey Comb. Grade A. The bees have gathered the nectar from the flowers and have placed it in this very comb, so that you may enjoy it how you like! 8 oz.